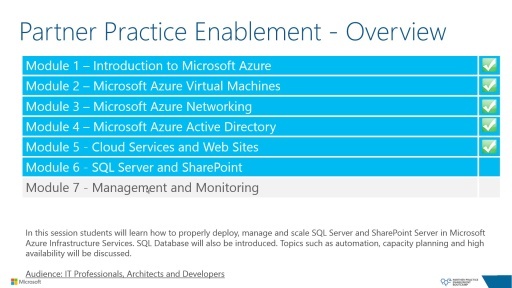 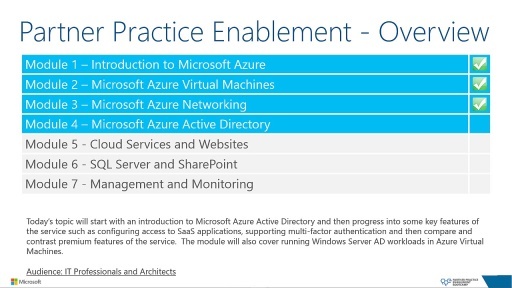 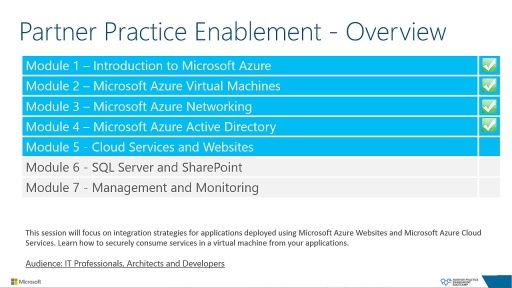 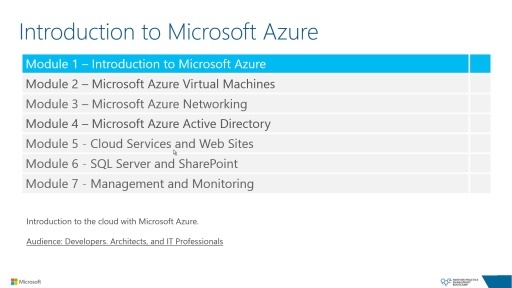 This series of training on the Azure Infrastructure is brought to you by the Microsoft Partner Practice Enablement team. 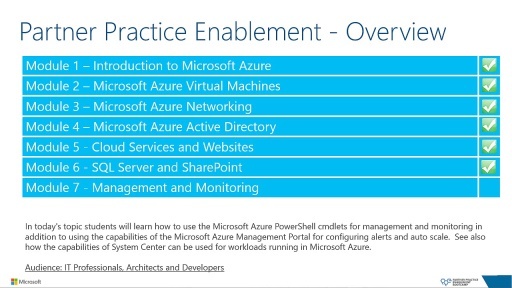 Microsoft Partners (MPN) and IT professionals will benefit from this in-depth look at some of the key Azure features. 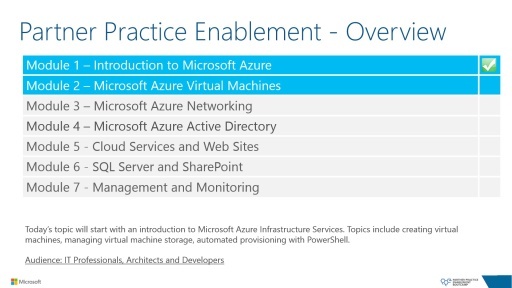 MPN members who would like to go deeper on this training, or with any sales, support, or deployment questions can contact partner support here. 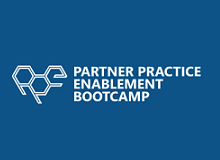 For a full list of partner advisory services visit this page.